The Rockwell Center for American Visual Studies brings new scholarly attention and resources to the art of illustration, a profoundly influential aspect of American visual culture. Through online research tools and collections access, scholarship, and spurring the collection and preservation of important artworks, the Rockwell Center establishes a context for understanding the role of illustration art in shaping and reflecting American culture. The Rockwell Center’s fosters partnership and collaboration with museums, universities, libraries and archives with significant collections and focus on American illustration arts, forming a national network of institutions dedicated to presentation, preservation and scholarship of visual communication art. This network invites discourse and provides scholars with access to the nation’s richest holdings of illustration collections and publishing. The Rockwell Center adds a new scholarly field to a national consortium of art history research centers located at museums who form the Association of Research Institutes in Art History (ARIAH), a distinguished association of research institutes at our nation’s most prestigious museums. ProjectNORMAN (New Online Rockwell Media Art and Archive Network), a ten-year, comprehensive online publishing project to preserve, catalogue, computerize and digitize its collection of original artworks, and over 150,000 archival objects, making them accessible to researchers, was begun in 2003. The Norman Rockwell Museum has begun to expand its collections beyond Norman Rockwell to build a collection of art of other illustrators. Norman Rockwell Museum is one of the nation’s premiere collections for this significant aspect of material culture and visual communication. The Center supports research in the field of American illustration and visual studies. Scholars, graduate students, and museum professionals are invited to apply for Rockwell Scholars’ fellowships. Working with art, library, and studio collections at the Norman Rockwell Museum and the Rockwell Center’s nationwide members’ museums and illustration collections, scholars will study the relationship of illustration art to popular culture, social history, mass media, formal art history and other disciplines. Norman Rockwell Museum’s Rockwell Center for American Visual Studies presents its first named and paid internship in honor of illustration historian, gallery owner, and author Walt Reed. Made possible by Jordan Berman in recognition of Mr. Reed’s lifelong commitment to scholarship relating to the art of illustration, the internship acknowledges his generous encouragement, which has inspired others to forge careers as curators, historians, and as collectors of this important art form. The Walt Reed Distinguished Scholar Internship at the Norman Rockwell Museum provides a unique opportunity for third and fourth year college and graduate level students interested in pursuing arts and museum careers to gain practical experience within a nationally accredited organization dedicated to the art of illustration in all its variety. The intern will spend eight weeks focusing on a project or projects established within the Curatorial and Exhibitions Department. Initiatives will be discussed and outlined in advance of the internship experience in consultation with curators in relation to specific Museum needs. In addition to this Curatorial/Exhibitions focus, The Walt Reed Distinguished Scholar Intern will spend one day each week working in support of one of the Museum’s other departments, including Education, Marketing and Communications, Development, and Visitor Services, to gain general knowledge of how each area functions within a broader context. The internship requires at least a four-day-a-week commitment including occasional weekend days, and carries a stipend of $1,500 for this program. Walt Reed (1917-2015) was the world’s foremost scholar and historian of illustration art. Mr. Reed was trained as an illustrator at Pratt Institute in Brooklyn and the Phoenix Art Institute in New York City, and freelanced as a book illustrator prior to joining the instructional staff of the Famous Artists School in Westport, Connecticut. There he worked with some of America’s most prominent illustrators, including Norman Rockwell, Steven Dohanos, Robert Fawcett and Albert Dorne. Reed served as editor for North Light Publications from 1972 to 1976. In 1974, he founded Illustration House, Inc., a gallery specializing in the field of illustration and dedicated to the preservation of this vital form of American art. 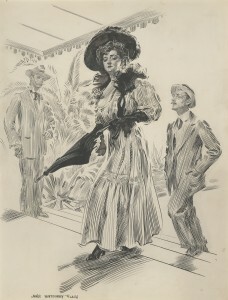 His many books on the subject of illustration include The Illustrator in America; Harold von Schmidt Draws and Paints the Old West; John Clymer, An Artist’s Rendezvous with the Frontier West; An Artist’s Rendezvous with the Frontier West; Great American Illustrators; The Magic Pen of Joseph Clement Coll; The Art of Tom Lovell—an Invitation to History; and Harvey Dunn: Illustrator and Painter of the Pioneer West. Reed also designed the Bicentennial 50 State Flag stamps for the U.S. Postal Service in 1976 and was a consultant on several subsequent stamp projects. The Rockwell Center for American Visual Studies at the Norman Rockwell Museum is the nation’s first research institute dedicated to the integrative study of American illustration and its impact in our world. The Rockwell Center’s goal is to enhance and support scholarship relating to this significant art form, exploring the power of published images and their integral role in society, culture, and history, and the world of art―from the emergence of printed mass media in the mid nineteenth century to the innovations of digital media today.